Olive Young Myeongdong flagship store, loved by Korean customers and tourists all over the world, has been re-launched as one of the world's best health and beauty stores. 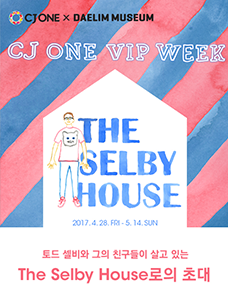 CJ Creative Journal covered the renewed Olive Young Myeongdong flagship store, with "lifestyle" as its concept of the second floor. Olive Young offers a more fun lifestyle. Myeongdong has become an adjective, not just a name. Frequently associated with pleasure and excitement, Myeongdong is a region where you can immerse yourself in the dynamic and vibrant K-Culture. The Olive Young Myeongdong flagship store is located in the heart of downtown Myeongdong, offering an all-new lifestyle playground. With the hottest trends in K-Culture on show, the flagship store has been re-launched to greet spring 2016. We invite you to the all-new Olive Young Myeongdong flagship store, full of vibrant and fun items for a pleasant and healthy lifestyle! Fill your life with style! ▲ What is the renewed Olive Young Myeongdong flagship store be like? The key point of the renewed space on the second floor is the "suggestion of new lifestyle trends." When many people think of Olive Young, the first thing that comes to mind is "beauty and health." The relaunch has changed the second floor to a space offering a young, healthy and chic lifestyle. The select shop, with "lifestyle" as its concept, offers products that make your everyday life fun and special. It is filled with everyday goods from home training to music and pets to fragrances. ▲ Exercise with Olive Young in the early spring! One two, one two! ▲ Enjoy your time with great music! In the home training section, there is sports equipment and sportswear launched under the Olive brand. The music section next to it has high-end sound products such as headphones, earphones and bluetooth speakers from Beats by Dr. Dre. ▲ Why don't you dress your pets in cute clothes to welcome the spring? ▲ Refresh yourself with fragrance! These products are the hottest items, attracting the attention of women in their 20s and 30s, who are the main customers of Olive Young. If you're taking good care of yourself and care about the small pleasures in life, there is plenty for you at the Olive Young Myeongdong flagship store. This select shop offers only the trendiest products! ▲ You can consult with a beauty counselor and try out beauty products in person. ▲ Test body&hand products before buying them. You can also consult with a beauty counselor. It’s better to try beauty products once, than look at them over and over again. With the beauty counselor's advice, you can apply a product to your skin as intended. After applying and feeling it, simply wash your face with soft and fragrant bubbles in the stylish sink located for your convenience. Particularly impressive is the innovative section targeting the many overseas tourists that come to Myeongdong to shop. Sections are separated into herbal shampoos, baby care products and female products. Since they often buy herbal shampoos or female product sets, separate sections allow customers to easily compare similar products. Korean baby care products are also gaining popularity among overseas moms with a gentle and soft feeling and superior technology. For their precious babies, moms consider everything carefully before buying products. At the Olive Young Myeongdong flagship store, you can conveniently compare products from various brands side by side. ▲ Enjoy the healthy food products of the Food Project! Another popular section at the Olive Young Myeongdong flagship store is the Food Project. The Food Project is Olive Young’s food brand, which features healthy food products made with natural ingredients such as apples, pears and oranges, as well as nuts, whole wheat, oatmeal, brown rice, sweet potatoes and potatoes. The food products appeal to customers interested in their health and diet. ▲ Products of Food Project have a list of ingredients and calories on the package. Healthy snacks and light meal-substitution foods are very popular. Food Project products fit a healthy lifestyle with taste and style. Take care of external and internal beauty at the same time with Food Project! There is also a functional health food section which includes a wide range of vitamins and supplements; a beauty section for men who care about their looks; a travelers’ section; and a tax refund section. The Olive Young Myeongdong flagship store suggests lifestyle products for everyone, regardless of gender, or and nationality. Enjoy the all-new Olive Young Myeongdong flagship store ? a new lifestyle playground! ▲ Enjoy and refresh yourself at the re-launched Olive Young Myeongdong flagship store! 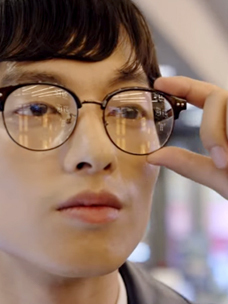 Excitement lit up the faces of customers stepping into the Olive Young Myeongdong flagship store as though they were entering an amusement park. Customers enjoyed seeing, experiencing and feeling various beauty items and fragrant products as they looked around the store. 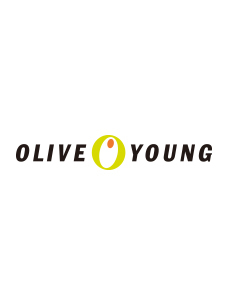 For those who want to keep their daily life healthy, and for those who want to give themselves special moments, Olive Young Myeongdong flagship store offers a lifestyle choices to make you smile. Enjoy and refresh yourself in this lifestyle playground! MCN is Creating the Future of Online Contents!